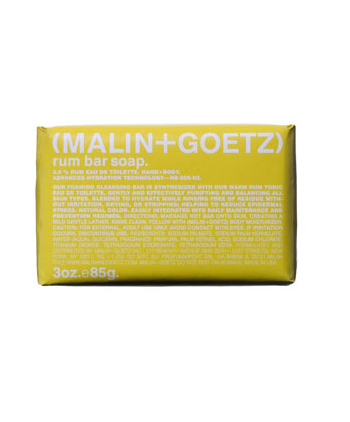 Malin + Goetz has infused this beautifully packaged ‘Rum’ bar soap with their signature rum eau de toilette, allowing for a lather that will keep you smelling masculine all day. The soap is pH balanced for all skin types, so no matter what your situation, this soap will serve your needs. This entry was posted in Shower, Skincare. Bookmark the permalink.